If you have a question that you would like answered, feel free to contact me on any of the platforms listed below. you can contact me anytime and I will try to get back to you personally, as soon as possible. Your input and questions are valuable and help to shape the content I create in the future. 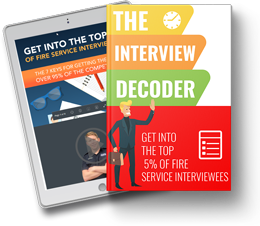 My simple but powerful Interview Decoder will extinguish your interview anxiety, because you'll know how to give quick, clear, and complete answers to every question!